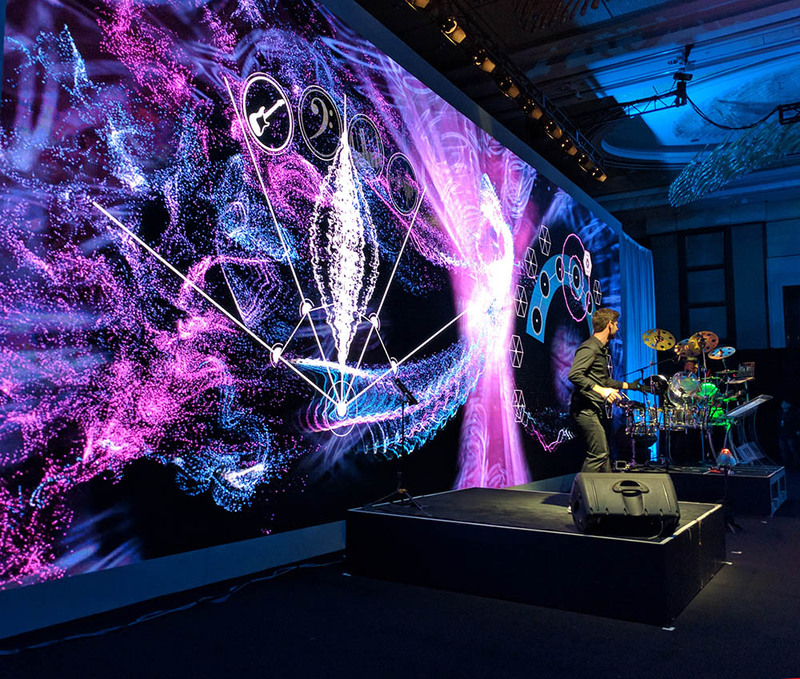 [namethemachine] helped create the musical spectacle before Intel’s Keynote speech at CES Asia in Shanghai. 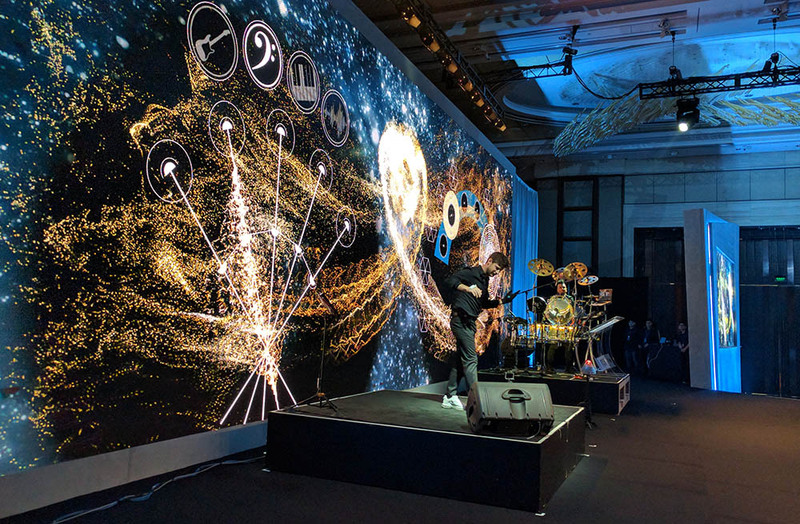 Kevin Doucette and DJ Ravidrums put on an intense performance using wireless Intel Curie devices. 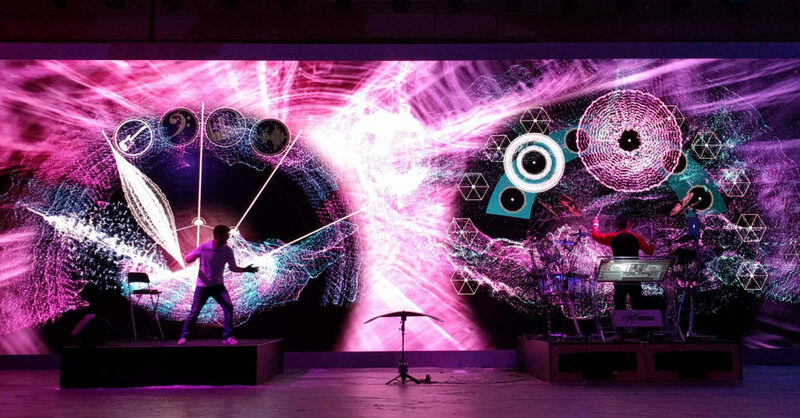 [namethemachine] provided a new set of interactive graphics to represent and amplify the actions of the performers onstage. Enshrouded in whirling interactive particles Kevin and Ravi banged out a medley of hit songs on mostly invisible instruments.